Paula Reinman has had more than one life, and sees her father at the center of each. I have lived three lives. My safe life, with Dad as my guide. My chaotic life, down the rabbit hole of dementia as his brain gradually surrendered. And my quiet life, since I lost him, filled with gratitude for the first and sad understanding of the pain faced by so many families. I first noticed these lives at Dad’s favorite pizza place. When he called for take out, they asked if he wanted his usual - a pepperoni pizza and a salad. He would get the pizza, chatting with the cashier, as he did with everyone, come home and announce, “You know that fellow at the pizza place? He’s from Cuba. He has a very interesting story…” and he would launch in. When Dad could no longer call for pizza himself we brought him into the restaurant. The owner sat us at a table in front that we could reach with Dad’s walker as we ate ‘the usual’. When I called to bring dinner home to my mom after a day of condolence calls, they asked if I would like a pepperoni pizza with a salad and Dad’s order became mine. I saw it at the gym. The man who never gave up would say, “I don’t really want to exercise today, but let’s just try.” We trotted on our treadmills chatting about politics, our twin spinal curvatures causing poor posture that neither of us could fix. When Dad’s failing mind made the treadmill impossible, we shifted to a chair class where I painfully watched him struggle to tell one foot from another. He looked to me for help, his trademark tenacity overcoming his obvious desire to quit. I now take a class in the same room. While I try to defy gravity, with limited success, he is there telling me to just keep trying. In my current life, the stress of caregiving is replaced by stillness and a return to the foundations of my first life, without the companion who built them. I have empathy for those struggling with a curb, a door or a transaction. As this life unfolds, I hope to live it with the grace, curiosity and kindness that I learned in my first two. With a Perspective, I’m Paula Reinman. 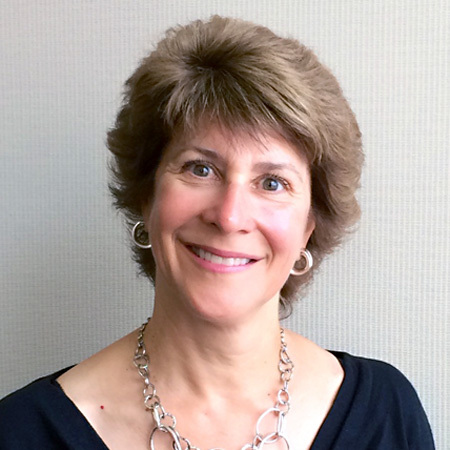 Paula Reinman is a marketing and communications professional, living in the East Bay.